Comtrend’s GS-7518 18-Port PoE+ Gigabit Ethernet Switch delivers data and power to network devices in a flexible and optimized solution. The GS-7518 consists of a durable metal casing with energy-efficient ports. Boasting 280 watts total power budget, this series can supply even your most power-intensive devices. The GS-7518 offers cost savings and ease of installation, making it the ideal solution for small scale PoE projects such as deploying security cameras, VoIP phones and access points. 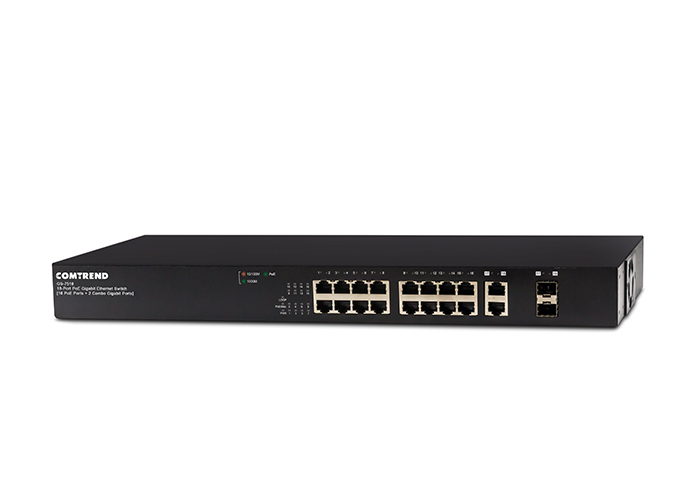 The GS-7518 allows for an easy way to transition your network to a PoE Gigabit network. Gigabit ports are 10x faster than standard ports. Each port can supply up to 30 watts of power. The 280 watts total power budget ensures you always have enough power. 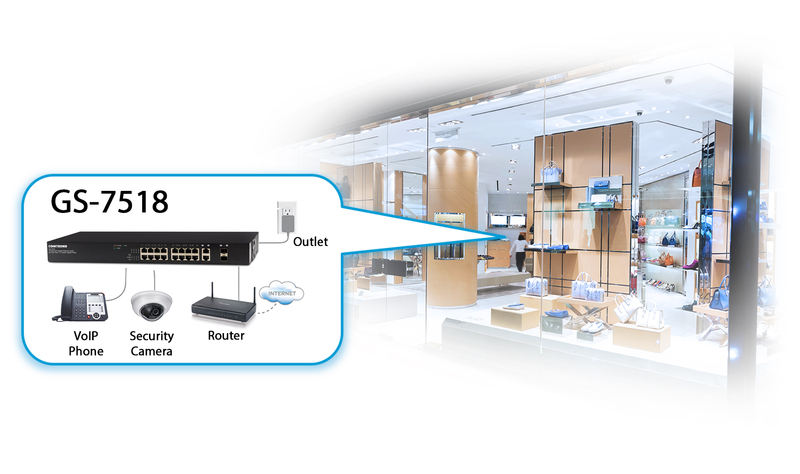 The GS-7518 supports IEEE802.3az for eco-friendly Ethernet function. With no configuration needed, the GS-7518 is plug and play.